The Intelligent Systems, Content and Interaction Laboratory (ISCIL) has been recently formed – and approved by the Hellenic Ministry of Education – through merging of the Image, Video and Intelligent Multimedia Systems Lab (www.image.ntua,gr) and the Intelligent Systems Laboratory - as one of main Laboratories of the School of Computer and Electrical Engineering of the National Technical University of Athens (NTUA) in Greece. The members of the Lab (which are over 40, including research scientists, researchers, Ph.D students, programmers, and supporting staff) are active members of the research community having published more than 150 journal articles and 250 international conference contributions. ISCIL is directed by Prof. Stefanos Kollias and Prof. Andreas Stafylopatis. ​Stefanos received the Ph.D degree in Signal Processing from the Computer Science Division of NTUA in 1984. Since 1989 he has been with the NTUA where he is currently a Professor. He is currently the Director of the ISCIL (formerly of the IVML) Laboratory. Prof. Kollias has led more than 100 European and national projects in the last decade, has co-authored more than 100 publications in scientific journals and over 200 presentations to international conferences. He was one of the experts that the EC has used for defining the framework of ‘Knowledge Technologies and their perspective’ and a member of the EC Expert Group on DL and the Europeana network, since 2007. ​Antonios holds a Ph.D. (1991) degree in Computer Science from the University of Texas at Dallas. Since 2003 he has been with NTUA where he is currently a Professor at the Department of Mathematics at the School of Applied Mathematics and Physical Sciences and Coordinator of the Algorithmic Applications Research Group (AARG). Antonios has been the primary investigator in research projects funded by the Australian Research Council, the Greek Ministry of Education, and the Greek Ministry of Development. He has been the Technical Coordinator of the ICT e-Inclusion Agent-Dysl project (2006-2009). He has co-authored over 80 Journal and Conference research papers in the field of Computer Science. 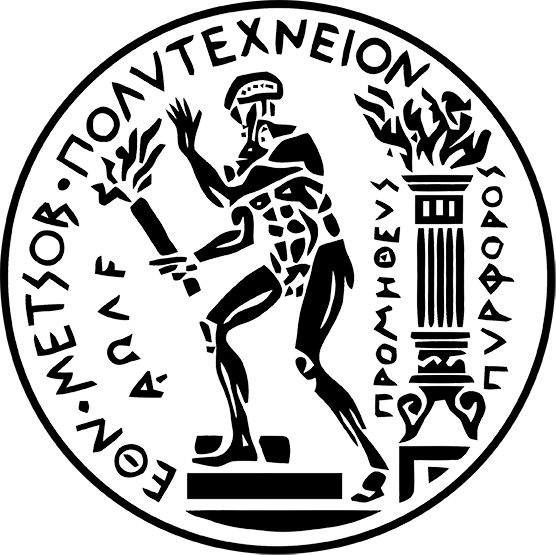 Antonios is an Associate Member of the Greek Data Protection Authority. George holds a Bachelor degree (2004) in Informatics and Telecommunications from the University of Athens and a PhD (2009) in “Affective Analysis in Human Computer Interaction” from the School of Electrical and Computer Engineering of the NTUA. He is currently an Adjunct Lecturer at the Department of Cultural Technology, University of the Aegean, and a Senior Researcher at the Interaction Systems, Content and Interaction Laboratory (ISCIL) of NTUA. George has long experience in research and development projects since he has been involved in 6 European (FP6 and FP7 NoE, IP and STReP) and 5 National R&D projects. His research work has been published in 12 articles in international journals, 9 book chapters and 24 conferences and workshops. Kostas graduated from the School of Electrical and Computer Engineering, of the National Technical University of Athens in1998 and received his Ph.D degree in 2001 from the same University. His current research interests lie in the areas of human computer interaction, virtual human representation (ontologies), emotion understanding and virtual reality. Kostas has published more than 110 papers in international journals and proceedings of international conferences; he is also a co-editor of the 'Humaine Handbook on Emotion research', a contributor to the K. Scherer's 'Blueprint for an affectively competent agent' and a member of the Editorial Board for the Journal of Multimodal User Interfaces, the Journal of Research on Synthetic Emotions and the IEEE Trans. on Affective Computing. Since 1995 he has participated in more than twelve research projects at Greek and European level; most notably the Humaine Network of Excellence, within which he completed his post-doc in the field of mapping signals to signs of emotion and the FP7 TeL STREP Siren (Technical manager). He is the Student Activities Chair for IEEE Greece, a member of ISRE (International Society for Research on Emotion) and EUCogII, an elected member of the Executive Committee of the Humaine Association and leads (along with G. Yannakakis – ITU) the Humaine Special Interest Group (SIG) on Emotion in Games and Entertainment. Evmorfia graduated from the School of Applied Mathematics and Physical Sciences of the National Technical University of Athens in 2005, and received her Master degree in 2007 from the same University. Currently, she serves as a laboratory assistant in the School of Applied Mathematics and Physical Sciences of the National Technical University of Athens. Her research interests concern theoretical aspects of Computer Science, focusing on algorithms and their complexity. Evmorfia has published 10 papers in international research journals and conferences. She has 5-year experience in software system development. She participated in the “design/implementation” and “evaluation” phases of the AGENTDYSL EU-funded research program. Eleni received her Bachelor of Speech Pathology from the School of Health Sciences of the University of Sydney in 1995 and her Master Degree in Clinical psychology –child psychology from the Medical School of the University of Ioannina, Greece, in 2007. Since 1995 she is practicing speech pathology at public and private health centres. She participated in the “user modelling” and “evaluation” phases of the AGENT-DYSL EU-funded research program.